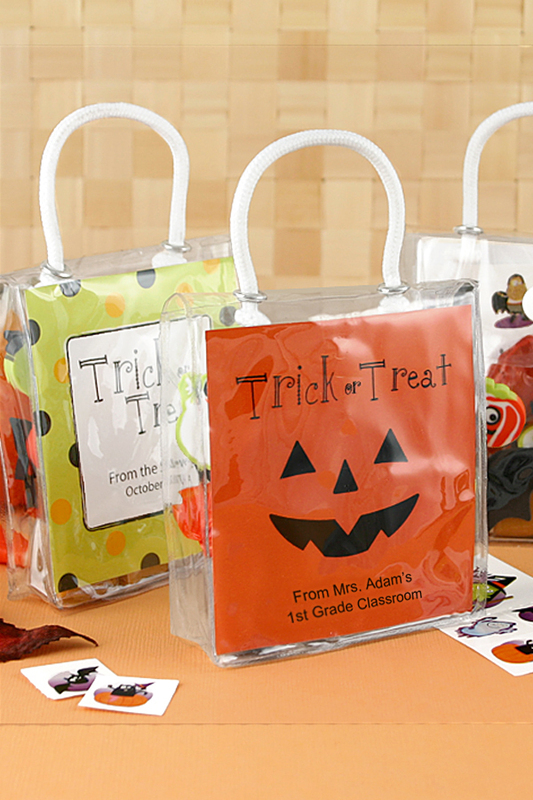 These mini, clear Halloween treat bags make the perfect classroom gift idea for teachers personalized with an adorable, festive insert card. Fill these clear, mini totes with Halloween candy, small toys, stickers, erasers, temporary tattoos, and more. Mini tote bags measure 3 inches wide x 3 1/2 inches tall. 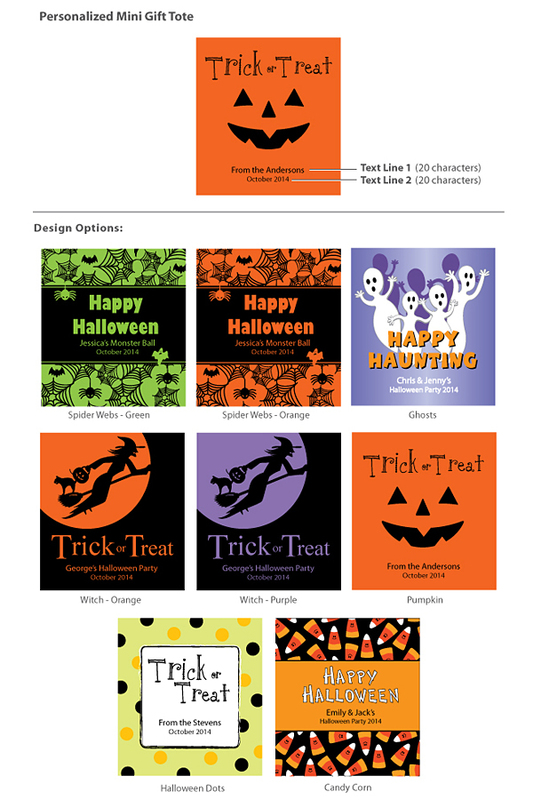 Personalized insert cards are available in 8 spooky designs printed with up to 2 lines of text; 20 characters per line. Contents not included.